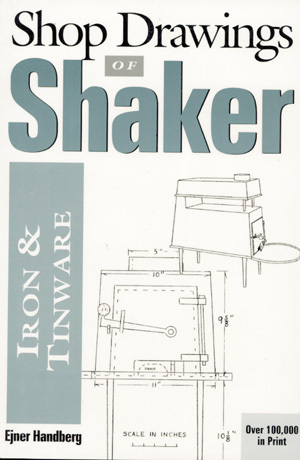 Provides diagrams for making Shaker door latches, hinges, handrails, shovels, candlesticks, ladles, choppers, stoves, teapots, syrup jugs, dippers, lamp fillers, shaving mugs, scoops, candle sconces, and dustpans. A companion piece to Shop Drawings of Shaker Furniture and Woodenware, and part of Handberg's homage to Shaker design, this work includes 70 measured working drawings of hardware, tools, household utensils, cast iron stoves, and tin patterns. This book informs and rewards the collector as well as the hobbyist.